Internal: 12 air-to-air missiles, or 16 air-to-air missiles and 20 air-to-ground weapons. 2x Rear-Defense 10 Rounds, Guided Sabot. The FA-70 need not be physically pointing at its target for weapons to be successful. This is possible because of sensors that can track and target a nearby aircraft from any orientation, provide the information to the pilot through his helmet (and therefore visible no matter which way they are looking), and provide the seeker-head of a missile with sufficient information. Recent missile types provide a much greater ability to pursue a target regardless of the launch orientation, called "High Off-Boresight" capability, although the speed and direction in which the munition is launched affect the effective range of the weapon. Sensors use combined radio frequency and infra red (SAIRST) to continually track nearby aircraft while the pilot's helmet-mounted display system (HMDS) displays and selects targets. The helmet system replaces the display suite-mounted head-up display used in earlier fighters. 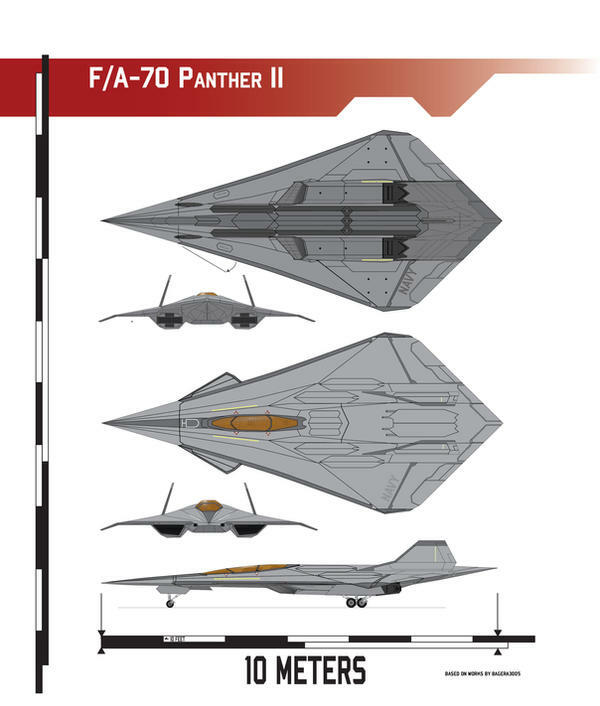 the FA-70's systems provide the edge in the "observe, orient, decide, and act" OODA loop; stealth and advanced sensors aid in observation (while being difficult to observe), automated target tracking helps in orientation, sensor fusion simplifies decision making, and the aircraft's controls allow action against targets without having to look away from them. The Fly-By-Light Advanced System Hardware (FLASH) program is developing and demonstrating dual use fly-by-light hardware for flight control systems on military and commercial aircraft. Under the transport aircraft portion of this program, we and our industry teammates are demonstrating two representative fly-by-light systems. These fly-by-light demonstrations include a ground demonstration of a partial primary flight control system and a flight demonstration of an aileron trim control system. This paper describes these and discusses the dual use fly-by-light hardware developed for transport aircraft as well as the associated FLASH program demonstrations. Thrust Vector Control or Thrust Vectoring is a technology that deflects the mean flow of an engine jet from the centerline in order to transfer some force to the aimed axis. By that imbalance, a momentum is created and used to control the change of attitude of the aircraft. 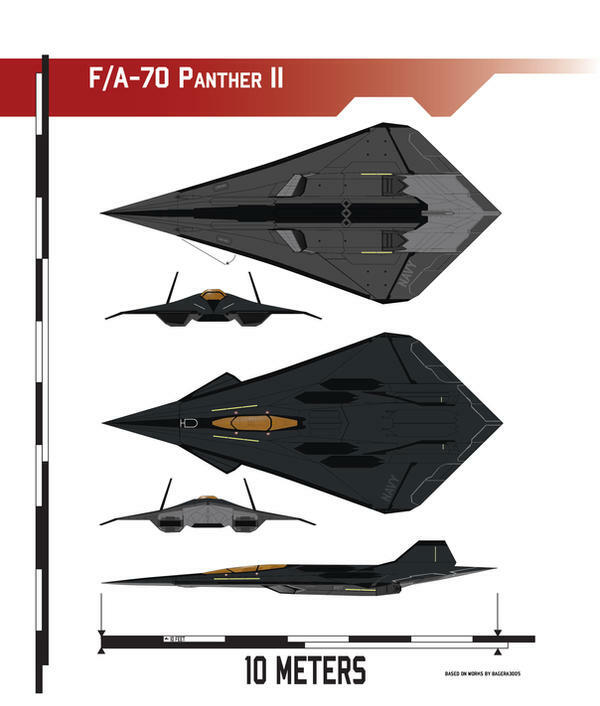 Among other things, thrust vectoring greatly improves maneuverability, even at high angles of attack or low speeds where conventional aerodynamic control surfaces lose all effectiveness. Thrust Vector Control is currently achieved by complex arrays of mechanical actuators capable of modifying the geometry of the nozzle and thus defect the flow. This variable geometry greatly increases weight and maintenance to the engine, and therefore limits the benefits from vectoring the thrust. The Floating Cockpit is a technology in which the body of the cockpit suspended in a shock-absorbent gel which hardens on impact. This design improves the ability of the cockpit to take a large shock, i.e. a missile to the aircraft body, without endangering the pilot. In additional to traditional ejection, the pilot can choose to eject the cockpit itself away from the fuselage. During this, the additional weight being thrown out of the aircraft forces the nose down, directing the aircraft away from the cockpit as it is propelled away as well, greatly increasing the survival chance of the pilot. The cockpit can either then be discarded or ridden all the way down with a pair of parachutes, one on either end, ensuring a gentle ride. Last edited by Pharthan on Thu Jul 06, 2017 9:32 am, edited 15 times in total. A helmet-mounted display (HELMOD - pronounced "Hell-Mod") is a device used in some modern aircraft, especially combat aircraft. HELMOD's project information similar to that of head-up displays (HUD) on an aircrew’s visor or reticle, thereby allowing him to obtain situational awareness and/or cue weapons systems to the direction his head is pointing. Applications which allow cuing of weapon systems are referred to as helmet-mounted sight and display (HMSD) or helmet-mounted sights (HMS). Uses the pilot's eye (head angle) as a pointing device to direct air-to-air and air-to-ground weapons seekers or other sensors (e.g., radar, FLIR) to a target merely by pointing his head at the target and actuating a switch via HOTAS controls. In close combat prior to HELMODs, the pilot had to align the aircraft to shoot at a target. HELMODs allow the pilot to simply point his head at a target, designate it to the weapon and shoot. Baseline instrumentation data, chosen by each individual pilot as well as standard data feeds, are automatically uploaded to the HELMOD, allowing for most instrument data to be readily available while in combat without having to look inside the cockpit. This data can be cycled through several filters by manual or voice-control. Remote (other aircraft, land-based, or sea-based) sensors or local (the pilot's aircraft) sensors, coordinating with the HELMOD, can determine the identity of multiple targets, allowing for the pilot to have increased awareness of the status of targets, as well as being able to properly ID targets as friend, foe, or neutral. The HELMOD is designed to allow for slight magnification for the pilot, should he-or-she so choose, to allow for better visual-confirmation. In addition, by synchronizing with the rest of the aircraft's system, different styles of display may be chosen to give the pilot a view of what the aircraft sees with RADAR, FLIR, et cetera, allowing for night-vision or the ability to pin-point targets "visually" so long as they are within range of the aircraft. The pilot can overlay such visuals as part of his HUD rather than seeing them as camera-style views, allowing the HELMOD to "map" the inside of his cockpit, allowing the pilot to "see-through" his aircraft. The pilot can choose for the HELMOD to narrow his range of vision, "wrapping it" around via cameras to give him a 360-degree view. This view takes time for many pilots to get used to, but can prove essential in dogfights. HELMOD systems, combined with High Off-Boresight (HOBS) weapons, results in the ability for aircrew to attack and destroy nearly any target seen by the pilot. These systems allow targets to be designated with minimal aircraft maneuvering, minimizing the time spent in the threat environment, and allowing greater lethality, survivability, and pilot situational awareness. Last edited by Pharthan on Fri May 24, 2013 1:59 am, edited 6 times in total. Last edited by Pharthan on Wed Jun 26, 2013 3:35 am, edited 4 times in total. Use Imgur please? It keeps saying that you need to upgrade your photobucket thingy?! What is this? A military plane?